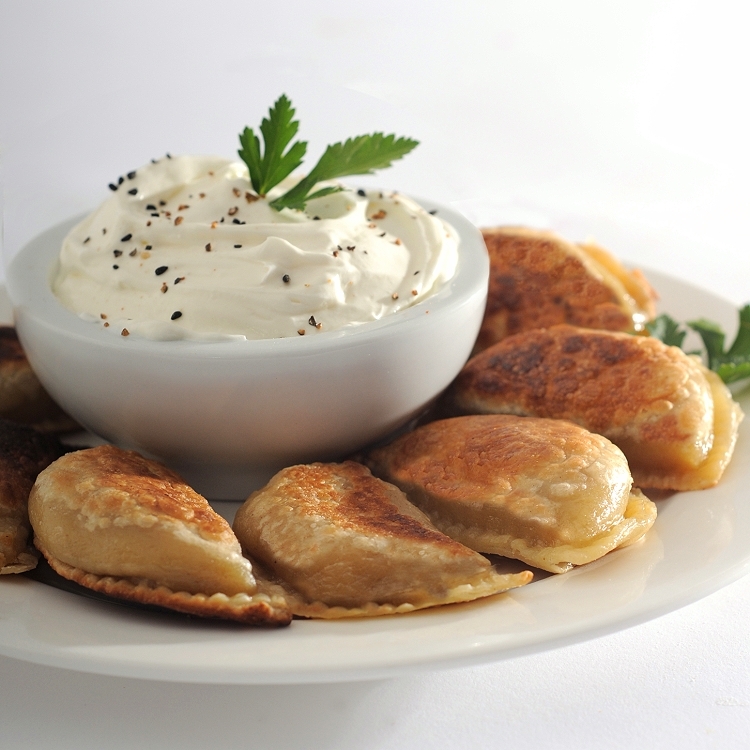 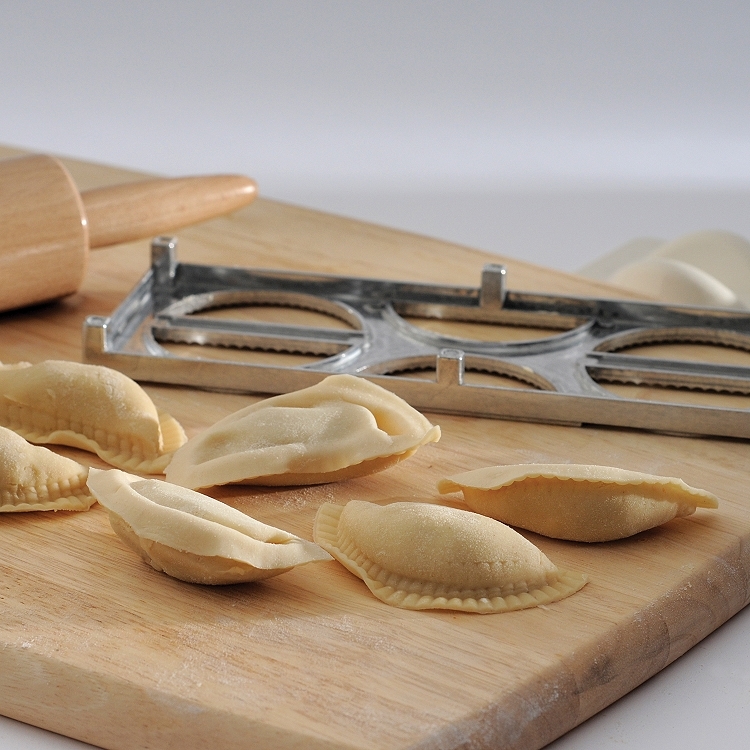 Pierogi Maker with Press, a specialty tool for making pierogies, dumplings, ravioli, popstickers, turnovers and other foods. 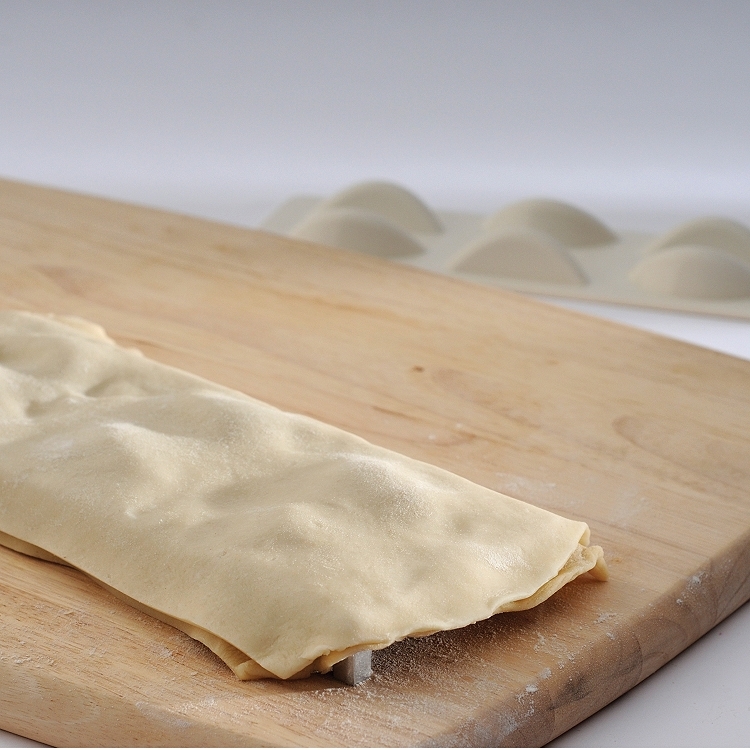 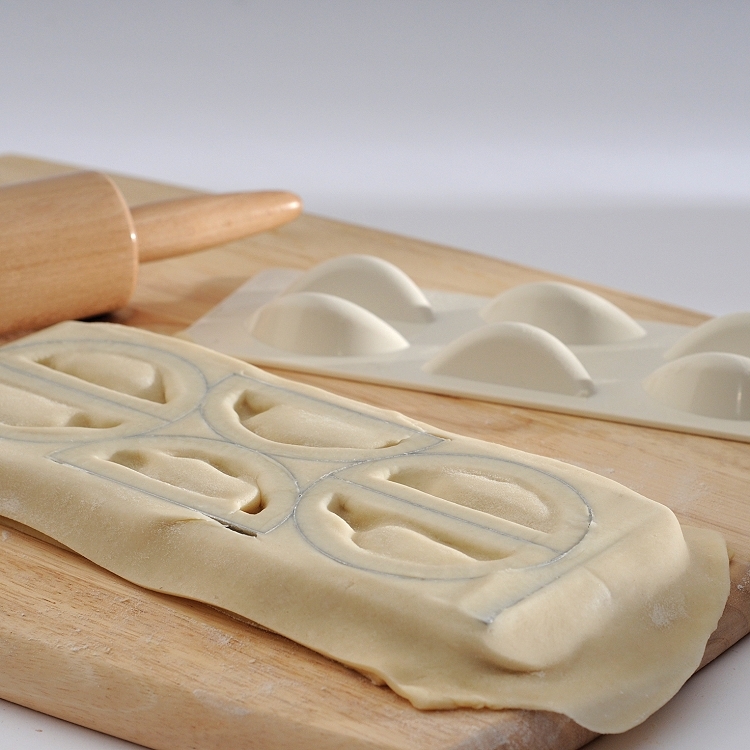 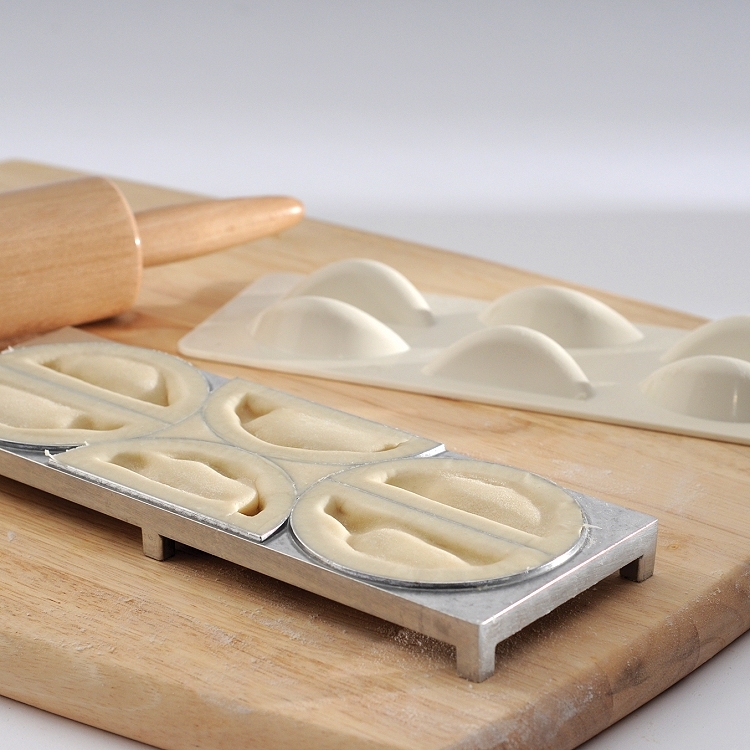 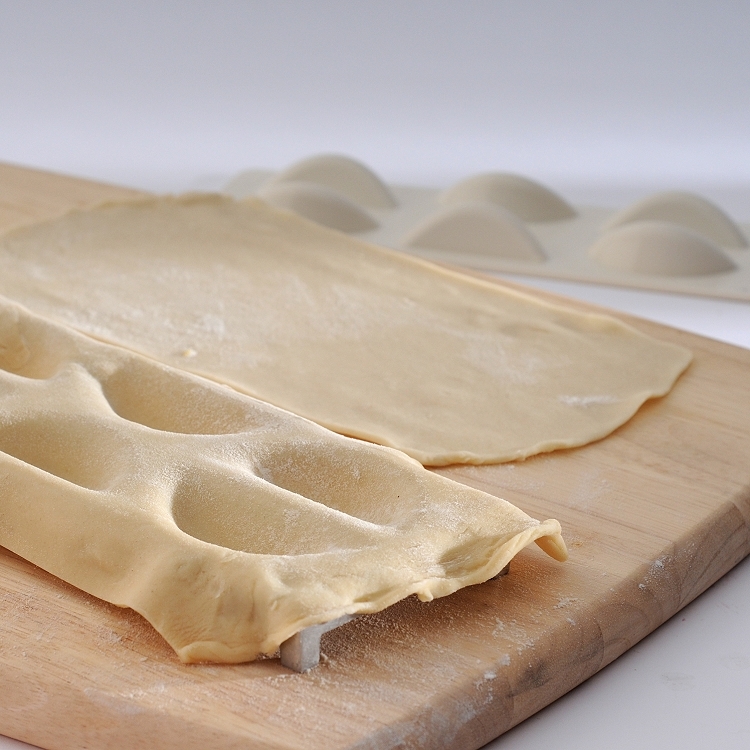 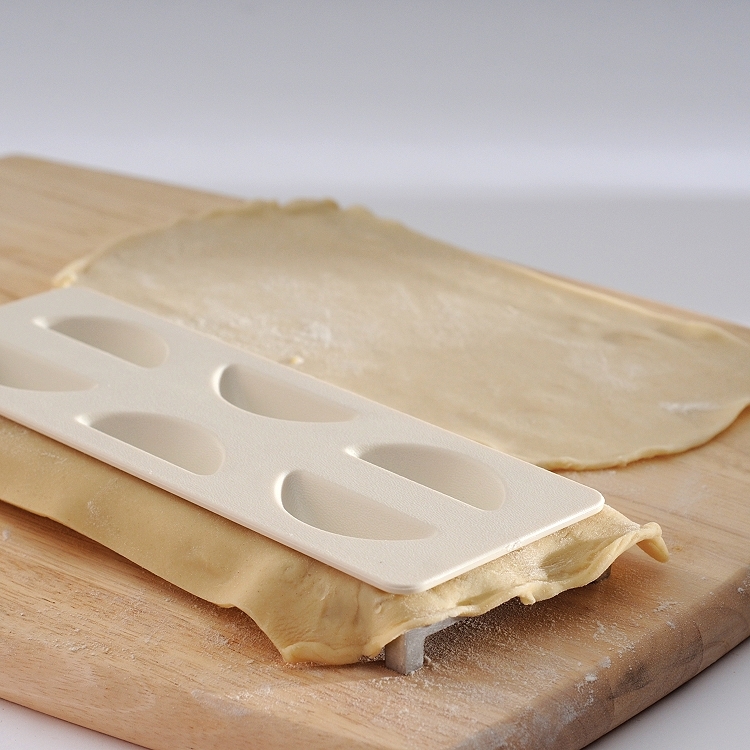 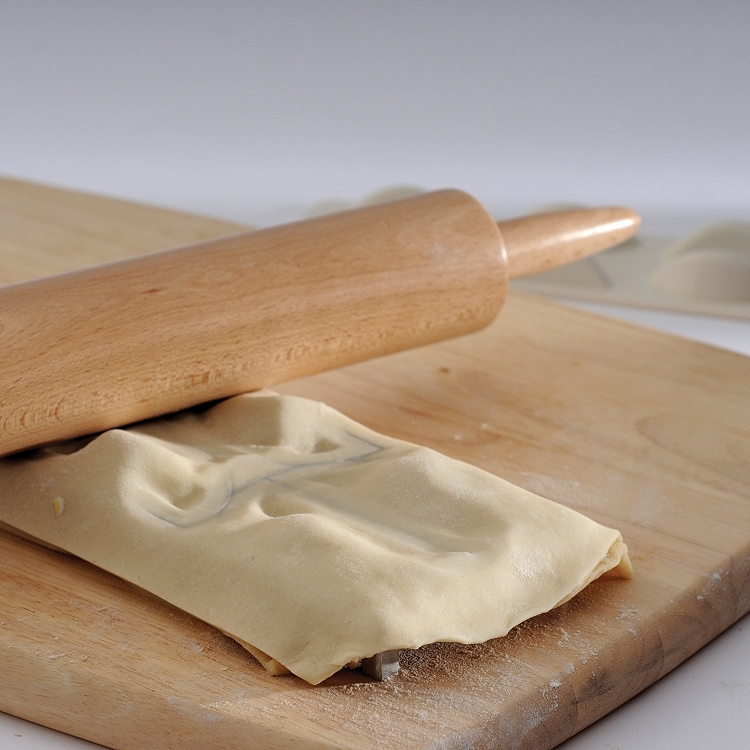 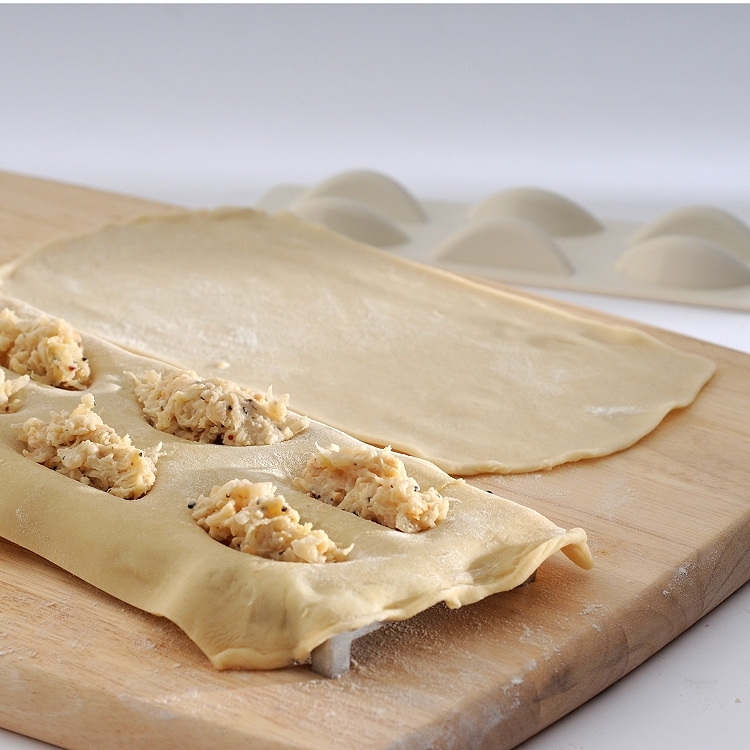 Form, fill, seal and cut six dumplings at a time ! 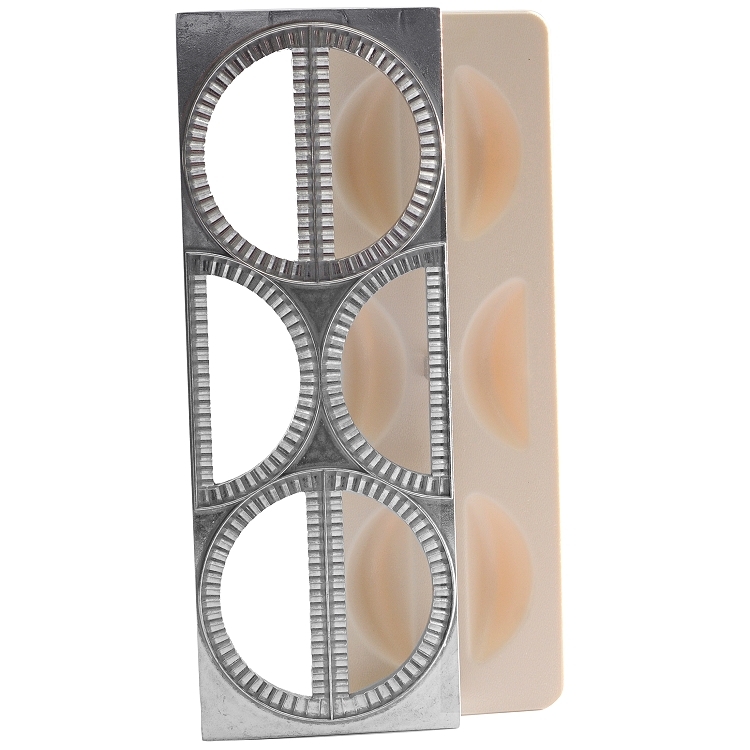 Aluminum form with plastic press.